Yet another vegan recipe !! In my quest to give up meat and dairy, I am slowly and steadily introducing new recipes in our everyday menu. Though it is going to be kinda tough given the fact that both my husband and kid love their fish and poultry, I am not giving up yet. Rather I make it a point to try out alternate dishes for myself which can be prepared in a jiffy. 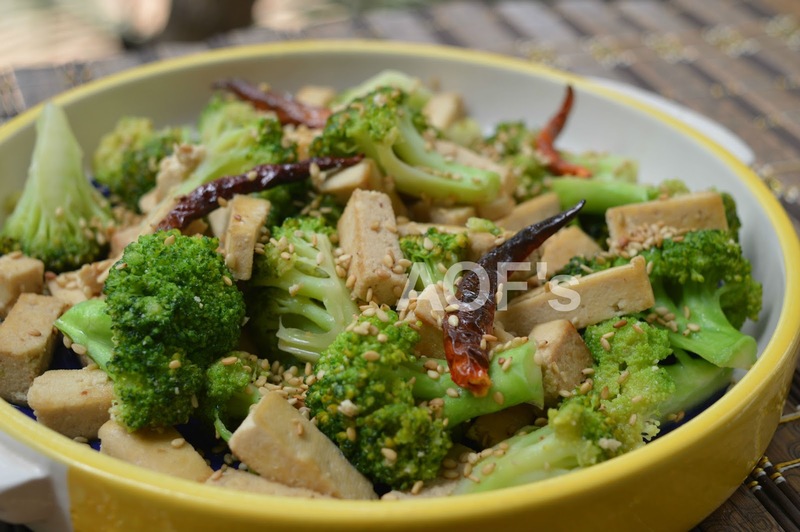 This recipe for example is simple and yet loaded with nutrients. 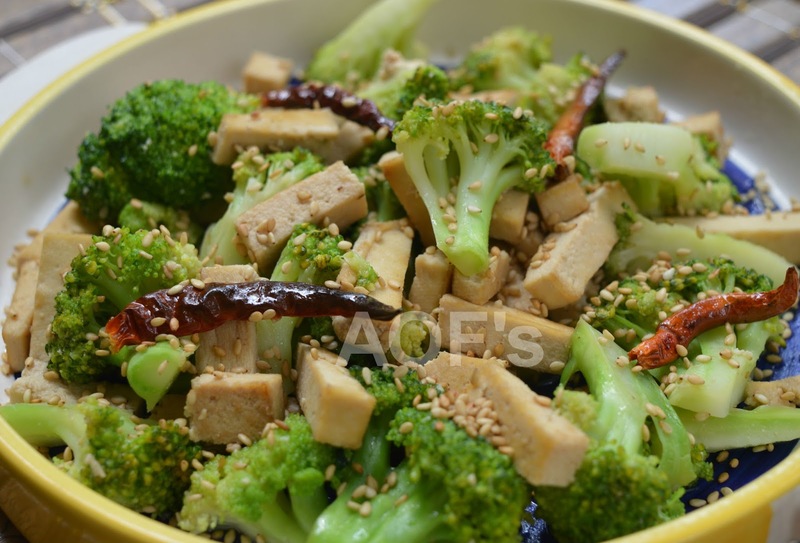 Broccoli and tofu married with a mild seasoning of Asian flavours, this salad can serve as a major proportion of one's lunch. I prefer to have it with some soup or toasted brown bread. Preparation - Steam the broccoli florets. Cut the tofu into thin long strips. Cooking - Heat the oil in a skillet. Add the dry red chilis and garlic. Fry till fragrant. Throw in the tofu and soy sauce. Toss for 1-2 mins. Add the broccoli florets. Season with salt. Toss for 2-3 mins. Finally add the honey, pepper and lemon juice. Mix gently to coat the broccoli and tofu with the seasoning. Remove from the flame and sprinkle the toasted sesame seeds over the salad. Note - Additionally nuts and carrots can also be added to this salad to make it more interesting.